Published: September 2016 - OUT NOW! Ok, right from the start of this review let me state that (A) I have an 'unhealthy obsession' with the featured subject matter and (B) I'm privileged to be named in the credits list; now, having got that out of the way let me also say that until the book arrived in my hands I had no idea what type of book publisher Jack Herris of Aeronaut Publications, was considering. 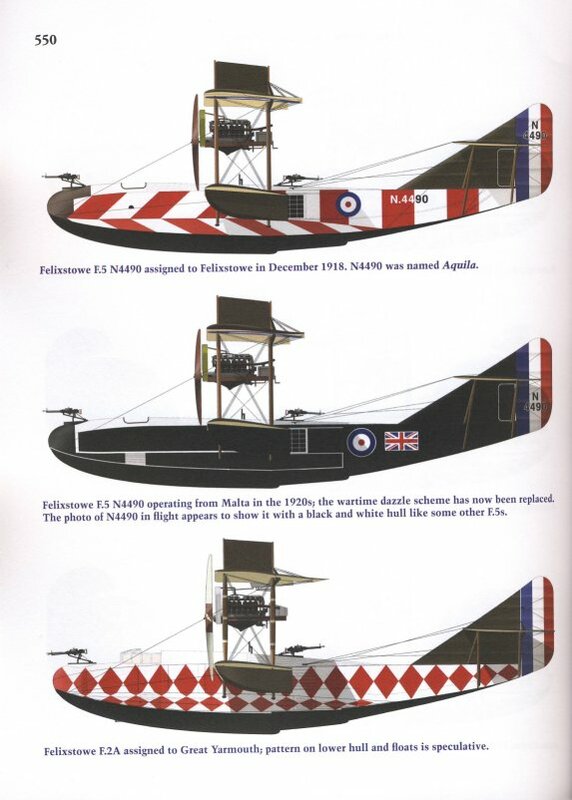 I know now, and in my opinion this book is simply the finest volume published to-date on its subject: the Norman Thompson N.T.4 'Small America' 'boats, the Felixstowe Porte Baby, the Felixstowe Fury and in particular the magnificent late-war Felixstowe F.2A's together with the post-war civil conversions all feature in this book. 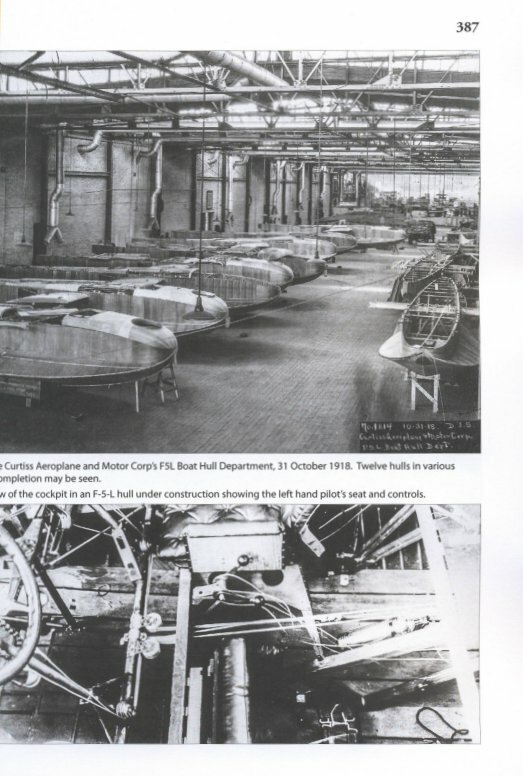 It is one big, heavy and very thick paperback-style volume, the second in a 'Magnum-Opus' multi-volume series that details all one could possibly wish to know about the design, construction, operation and crews of these important craft. 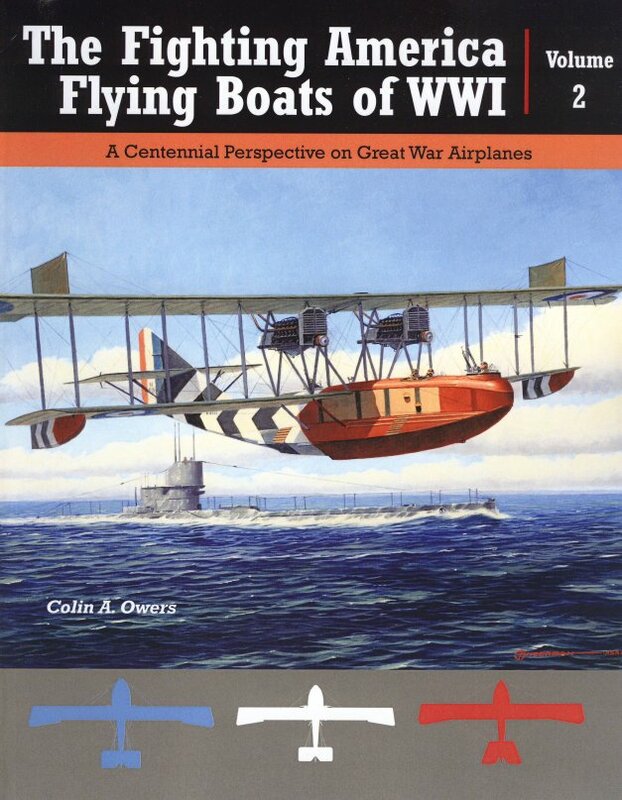 Penned by the highly experienced and authoritive author, Colin A Owers and published by one of today's leading lights - Aeronaut Books from the USA - it is a combination that has provided a stunning piece of work that will grace any flying boat historian, enthusiast and modelers shelves for many years to come. It isn't cheap at around £45.00 pounds and I'm well aware that there are many of you that will think seriously about shelling out such a sum but I have to say that the photographic content alone is worth the asking price, not including the superb colour profiles by artist Bob Pearson. The images are printed as large as the page and have had an enormous amount of delicate and time-consuming hand-work carried out on them to remove a lot of the 'dinks' and 'blemishes' and they look all the better for that; it is the detail that is contained within the images that is the 'star' of this book. 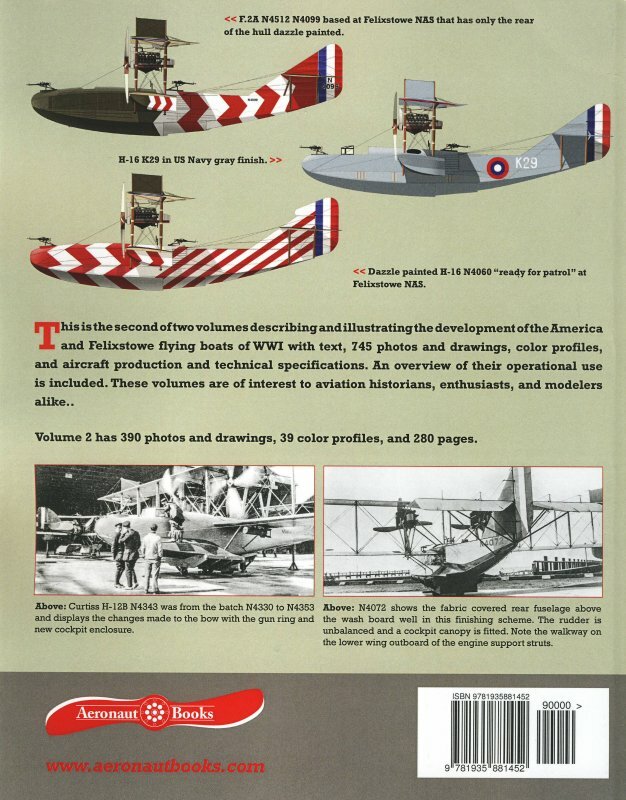 Drawn from sources all around the world, this collection of flying boat images is just stunning, and thanks to Aeronaut's design layout are printed to the benefit of us all; there are no 'small, tiny' images here! Having been a flying boat 'nut' for many years due to my growing up in my home town of Felixstowe - as a lad I played around these 'black sheds' and the associated out-buildings until the day it all changed by the construction of the largest private port in Europe - I have spent many years collecting and archiving contemporary images of these 'boats and their base from wherever I could find them, yet within this publication I would say that roughly half the images I have never seen before! 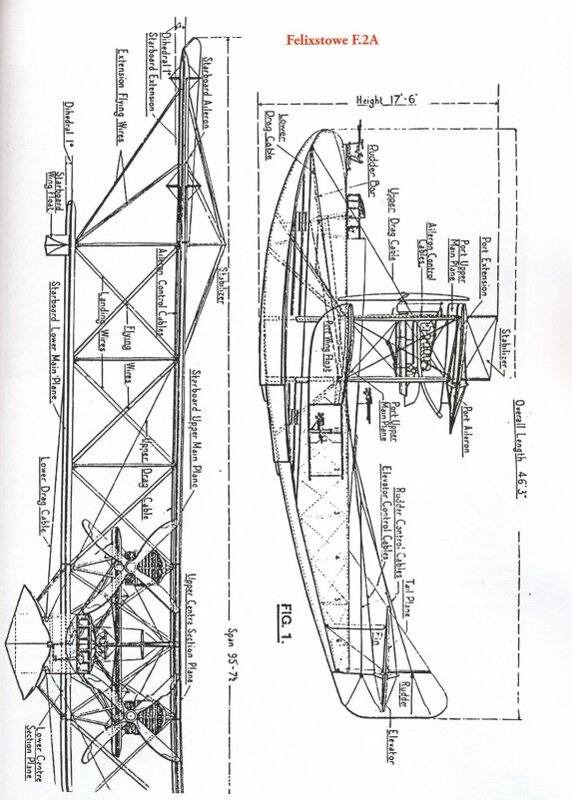 That is what makes this volume so important to the Felixstowe base and F.2A aficionados. In the surrounding page scans you will see what I mean regarding the details contained within each page, be it images or profiles; but there is much more than that. Author Colin Owers has interwoven a superb story between all the book's elements providing the reader with much textual detail but in a very readable fashion, something he has proven time and again with such high-quality publications as Windsock Datafiles. This he has carried on into the image captions where he points out relevant details for the readers benefit. Bob Pearson's superb colour profiles are positioned throughout the volume and add immensely to the overall gravitas as each one is carefully researched, drawn and captioned and there are colour schemes here from home, but particularly abroad, that would make a fascinating series of decal sheets for the modeler to choose from - a heavy hint to an enterprising decal manufacturer - which I personally have never seen before, leastways not in full colour and are very attractive to the eye. Other pages carry large plan and other drawn views from various contemporary publications and presented in a clear fashion for the reader to gain much structural information from. 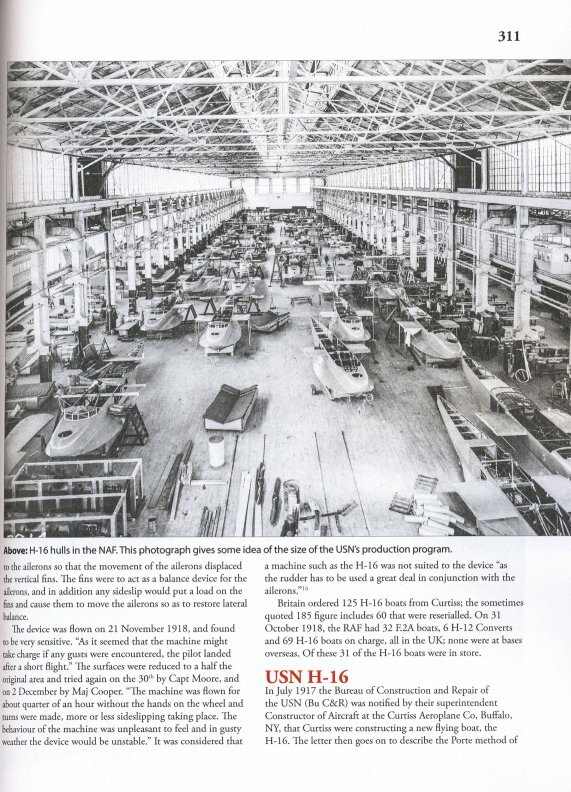 If all of the foregoing was not enough, for me one of the best parts of this volume is the photographic study of the post-war civil Aeromarine Airways passenger conversions of the last Felixstowe type, the F.5, which was built in the US as the F-5-L converted by Aeromarine to their Type 75, a subject that has never been fully detailed enough to my mind; there is a superb selection of images of these here as well as excellent detailed profiles by Bob Pearson. If you have read this far you will already know what my final verdict of this volume 2 book is; it is - in my opinion - the finest book printed to-date covering photographically the various 'boats that flew from Felixstowe in the late-war period, packed full of detail, appendices, colour profiles and much more; 390 images, 39 colour profiles and 260 pages, following on from the earlier vol.1 book. Surely there cannot be a third volume...can there..?